Cuba officially reopened its U.S. Embassy on July 20, 2015 with a symbolic flag-raising ceremony. This marks the formal reestablishment of diplomatic relations since the ties were severed 54 years ago. However, despite the thawing in relations that helped bring about this opening, many sanctions still remain in place. These sanctions are enforced by the Office of Foreign Asset Control (OFAC) and are listed in the Cuban Assets Control Regulations (CACR). According to the U.S. Department of the Treasury, “Most transactions between the United States, or persons subject to U.S. jurisdiction, and Cuba continue to be prohibited, and OFAC continues to enforce the prohibitions of the CACR.” While amendments made to the Cuban Assets Control Regulations facilitate travel for authorized persons and allow U.S. financial institutions to open correspondent accounts (among other things), U.S. owned businesses that wish to engage in certain export and import transactions still must meet the criteria for a general or specific license. 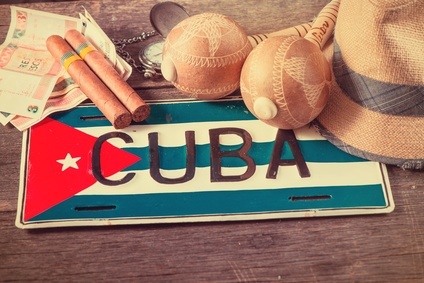 This requirement for a license to exempt a U.S. citizen from applicable rules affects the ability of COGENCY GLOBAL INC. to provide assistance in having documents legalized for use in Cuba or other countries with comprehensive sanctions. Sanctions spelled out in the CACR and in similar regulations sanctioning the countries of Iran, North Korea, Sudan and Syria affect our ability to legalize documents for use in those countries, whether or not the country has an embassy or consulate office in the U.S. To ensure strict compliance with the terms and conditions of U.S. regulations, we obtain assurance that the document to be legalized is not intended for use in a manner that will violate U.S. law and the sanctions imposed under U.S. law on such countries. If a general or specific license has been issued, we ask that a copy of that license be provided. The ceremonies commemorating the reopening of the embassy in Cuba symbolize the reestablishment of diplomatic relations between the two countries. However, it does not mean revocation of the sanctions that are currently in place, and it is important to ensure compliance with existing laws, when handling legalization of documents for use in Cuba.